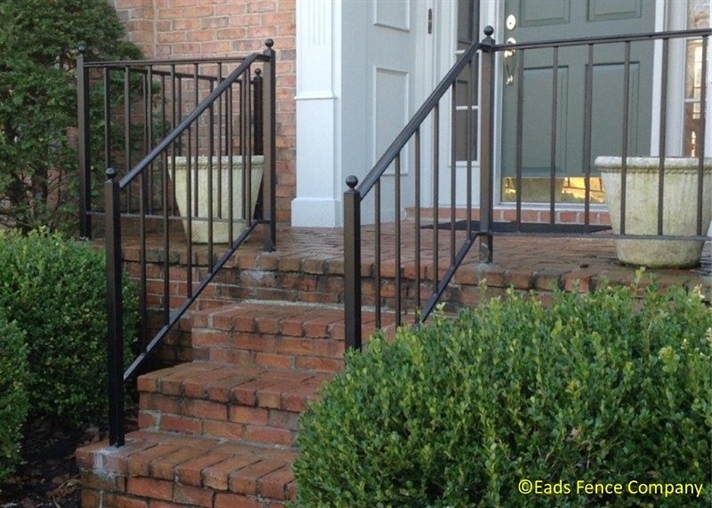 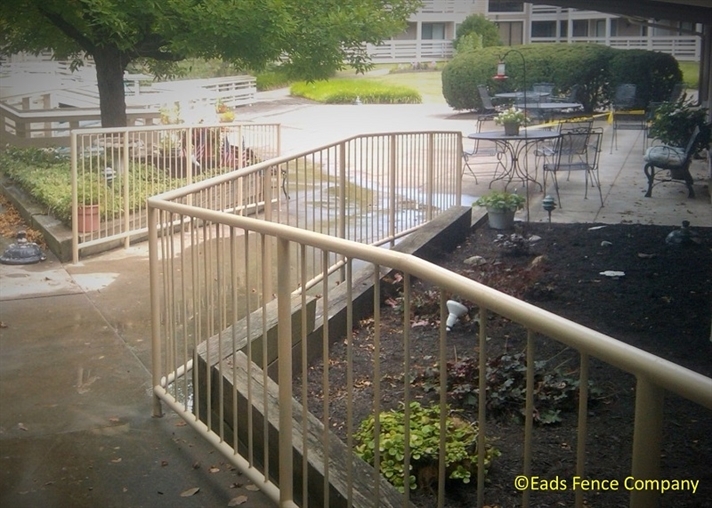 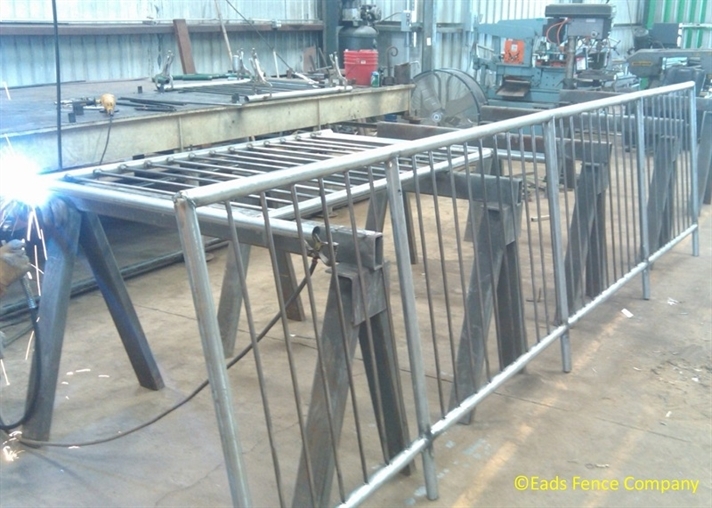 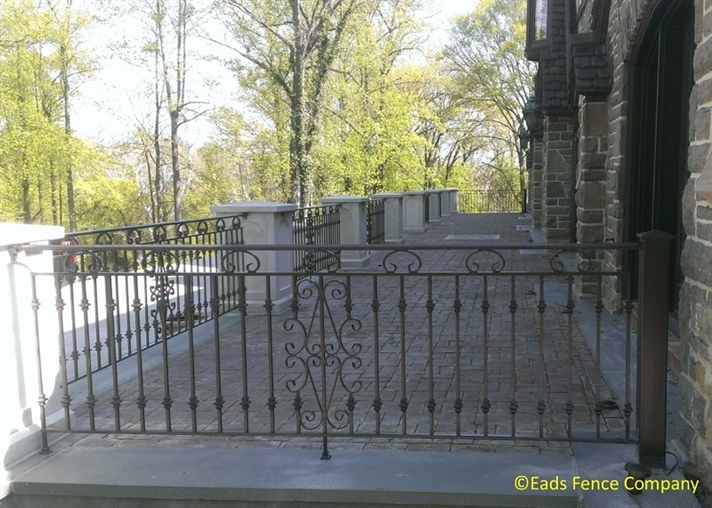 Eads Fence Custom IronWorks Division is a combination of custom metal fabricators, artists and blacksmiths, creating unique custom metal designs. 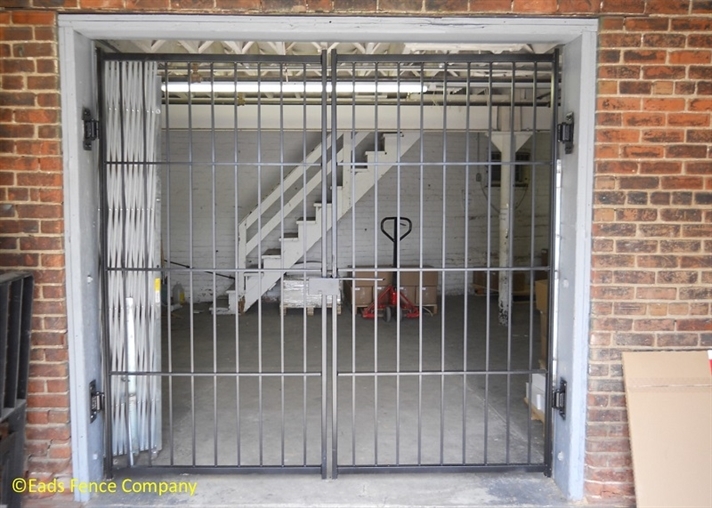 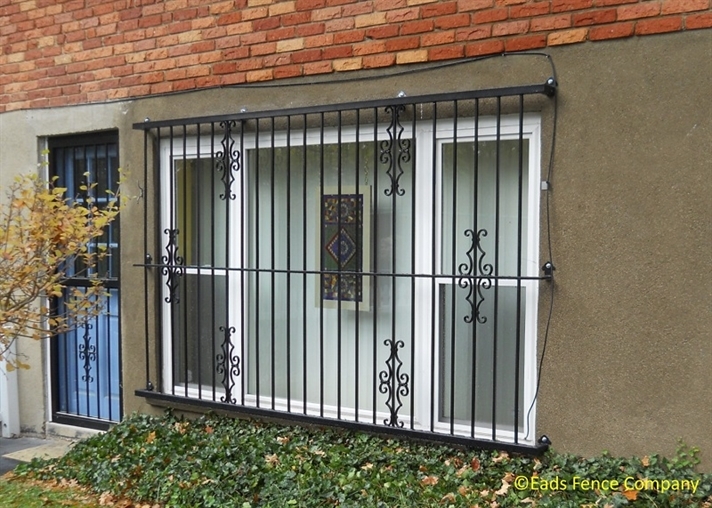 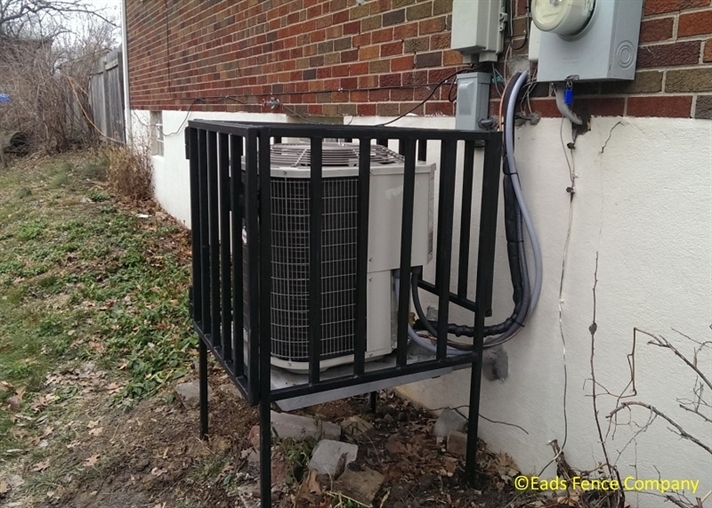 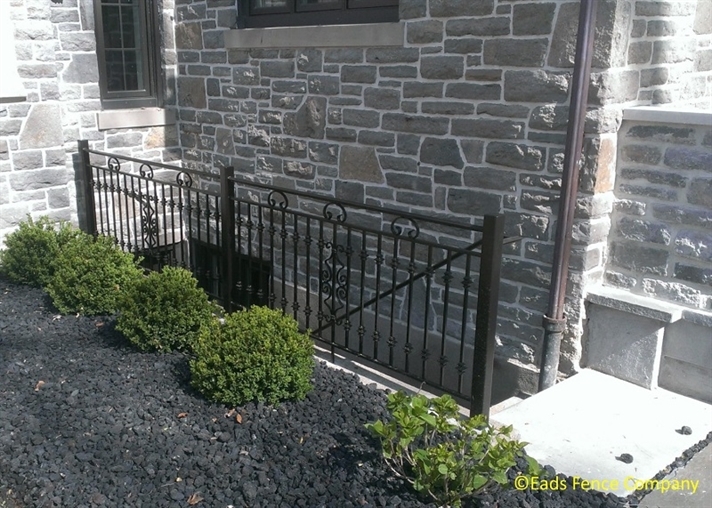 We design, build and install custom metal gates, balconies, interior and exterior railings, door and window guards, window well covers, horse stall doors, furniture, home accessories and repair your metal belongings. 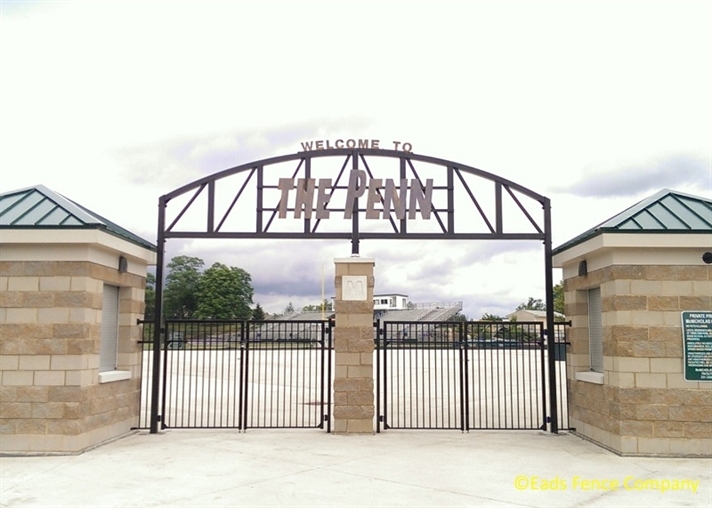 We also fabricate and install small and large commercial projects, from molds to stadium structural signage, stairways, fire escapes, air-conditioning cages, custom dumpster gates, tree guards and bollards. 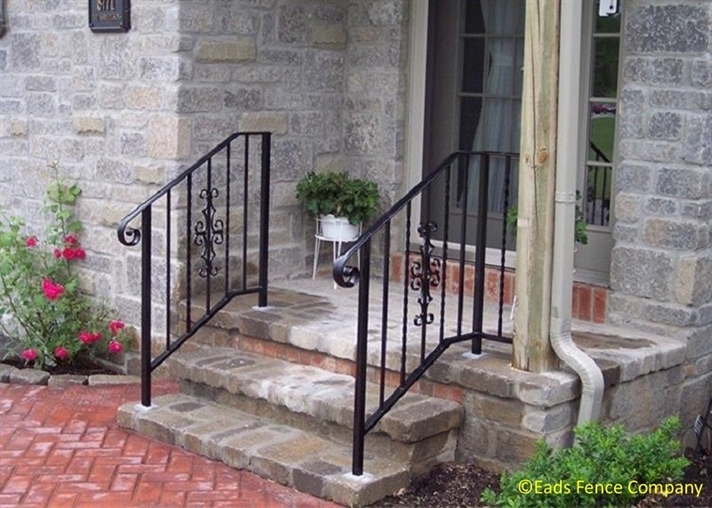 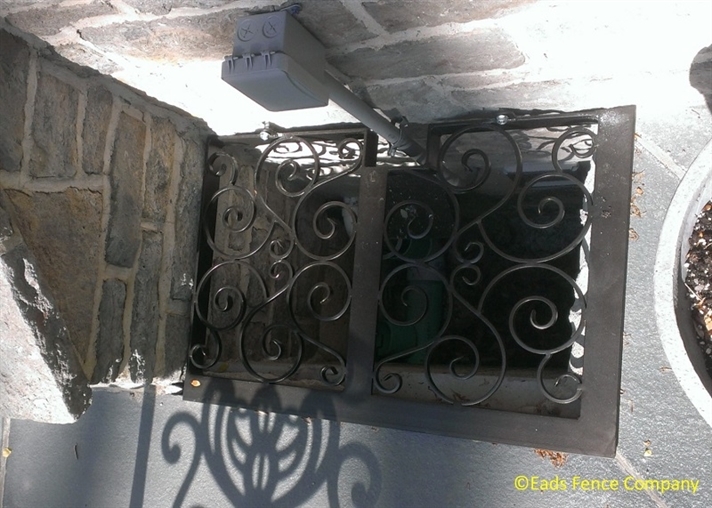 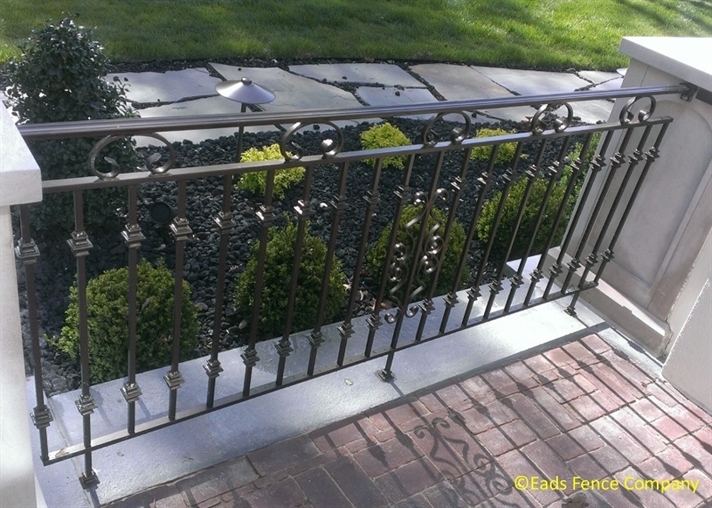 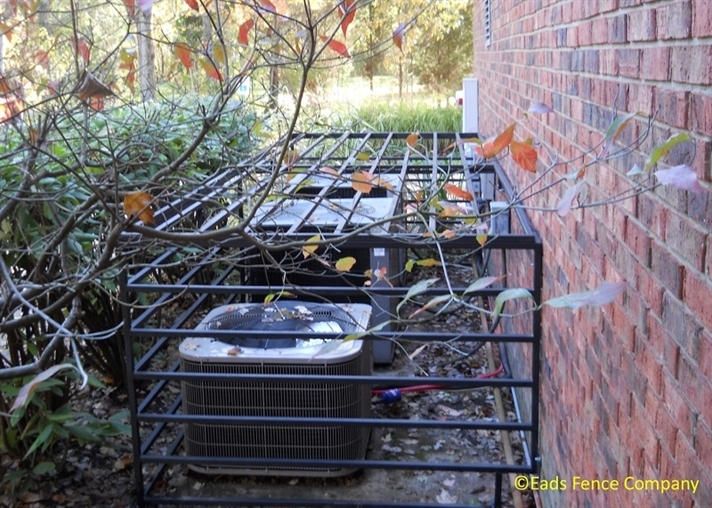 We restore and repair antique wrought iron metal work and offer emergency repair services and other customized services. 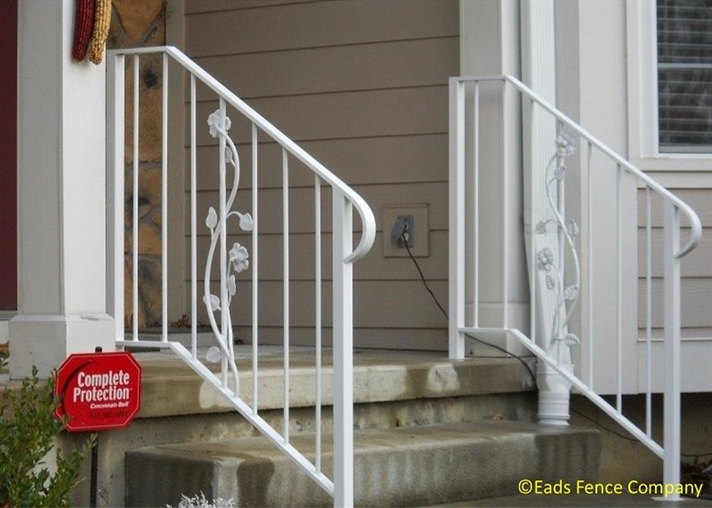 With over 100 combined years of experience, the capabilities are endless. 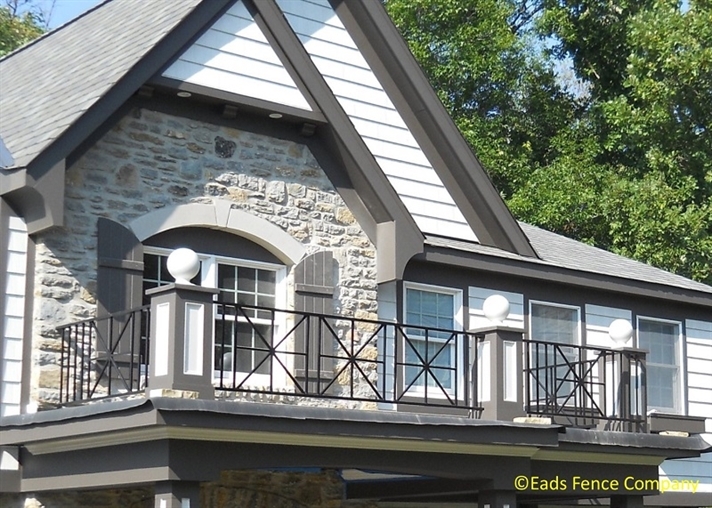 We work with homeowners, contractors, architects, and engineers throughout Ohio, Kentucky, and Indiana. 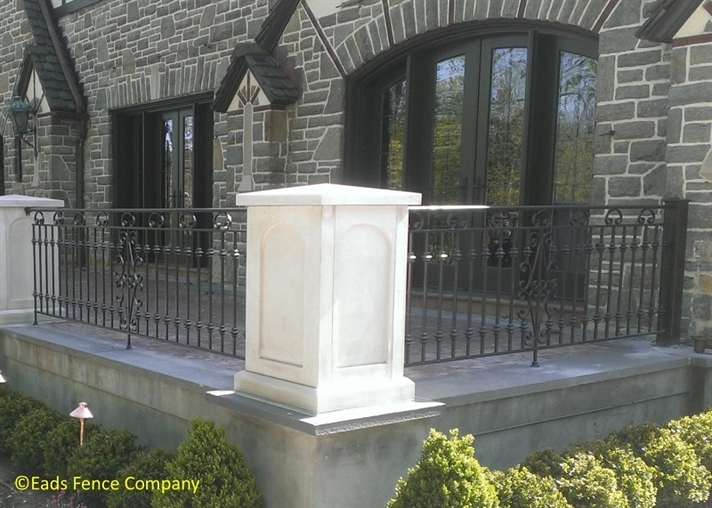 We also ship our products nationwide and can quote and provide installations on larger projects outside of our tristate area. 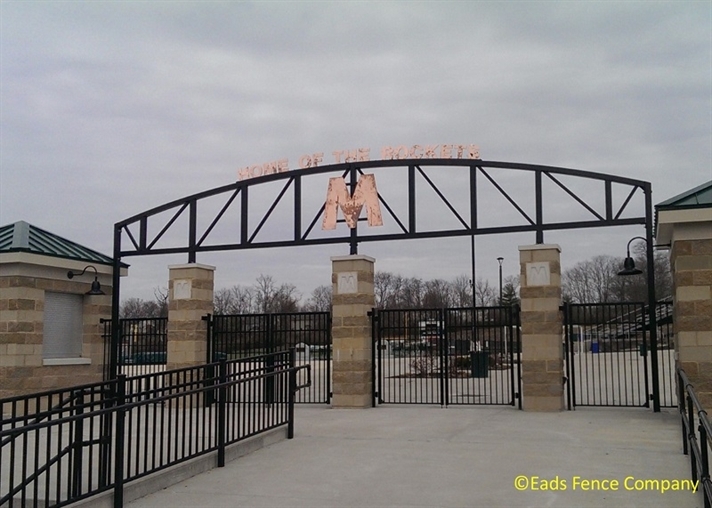 Visit the Midwest's largest indoor fence showroom as well as our large Custom Iron fabrication shop, and contact us to give you an in-home or on-site proposal to design and fabricate your custom metal work. 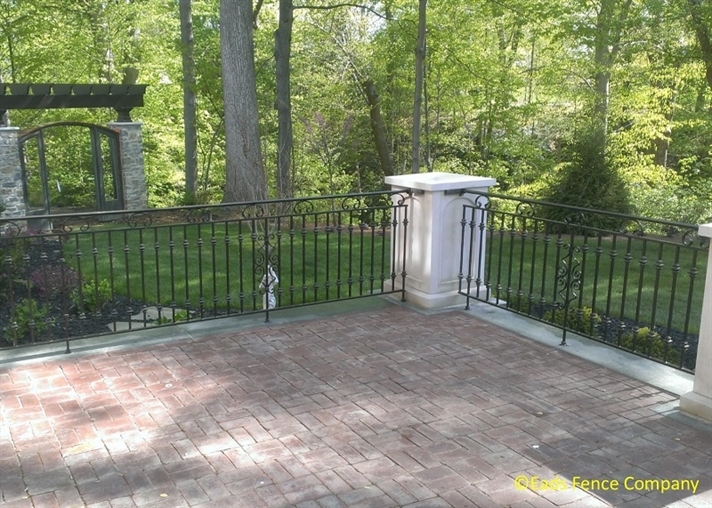 The following pictures are samples of some of our completed projects.